Melbourne is a city that appeals to many different travelers thanks to its culture, its welcoming residents and the vast amount of interesting activities on offer. We know, Melbourne (and Australia in general) is sometimes considered a relatively expensive travel destination, but those on a budget shouldn’t be put off; not everything is expensive there. There are plenty of fun and free things to do in Melbourne, cheap attractions and activities that can fit even on a tight budget. 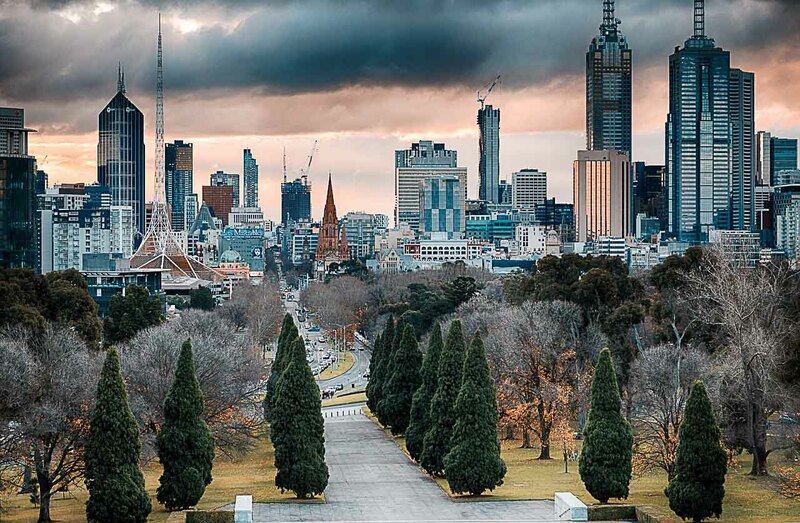 In Melbourne, you can visit beaches, art galleries, attend free music gigs, work out with others at zero cost, browse the many markets, stroll along the river and relax in green parks and gardens… That’s only a few things to do in Melbourne for free! Melbourne has a unique vibe, and its fair share of nature too. Whatever your preference in terms of entertainment, this city has it covered. 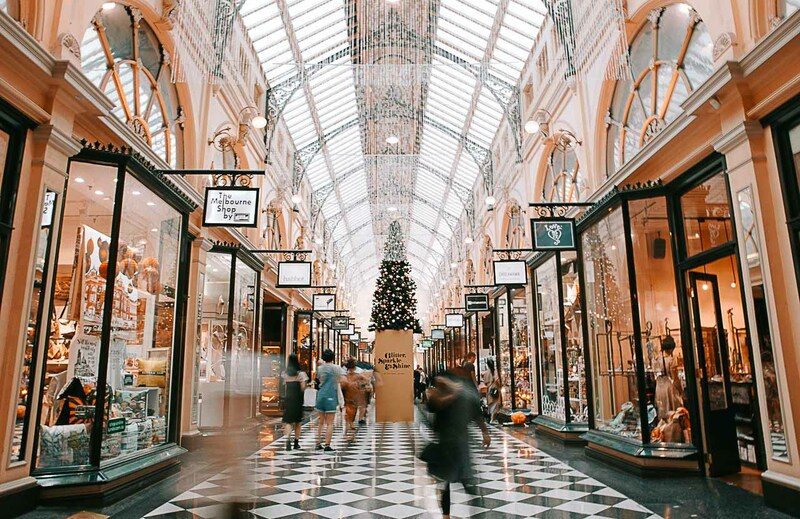 Check out some of our favorite free or cheap things to do in Melbourne, so you don’t have the break the bank while you’re in this wonderful city. Art lovers can head to Victoria, where they’ll have various art galleries to choose from. Here you’ll find the works of internationally famous artists, as well as plenty of local artists’ exhibitions. You might want to check out NGV International (National Galleries of Victoria)on St. Kilda Road for the international exhibitions, and if you’re looking to keep costs down, aim for the permanent collections, which you usually won’t have to pay for. The same goes for a few of the temporary exhibitions. The Australian Centre for Contemporary Art (ACCA), a beautiful building situated in Southbank, is another free place to visit in Melbourne, an experience worth having. It’s a gallery with a difference, as it commissions its own art. That’s why you’ll be able to view some quite unusual exhibitions, ranging from the innovative to the contemporary. Both galleries are admission free, and cool things to do in Melbourne. If you want to understand the local history a little better, there is a center dedicated to educating you and it’s one of the free things to do in Melbourne. The Koorie Heritage Trust Cultural Centre in Federation Square is dedicated to this purpose, and as ‘Fed Square’ is a major attraction itself, you’ll probably be in the area at some point. At this center, you can find out plenty about Aboriginal history. You’ll get a clear idea as to what Melbourne looked like before the British colonization, which happened a couple of centuries ago. Learn about the custodians of this land, the Wurundjeri people, as well as the interesting Koorie history and culture. Explore the permanent social history exhibition and various other exhibitions of aboriginal art. When it comes to parks and gardens, Melbourne can lay claim to some of the most beautiful in Australia. Make a stop at the phenomenally huge Royal Botanic Gardens, near to the Yarra River and the CBD, and you can kick back and relax amidst 38 hectares of lush greenery – this place a botanical dream, with a diverse range of trees, flowers, and plants. The Royal Park is another nature lover’s paradise, and in terms of size, it makes the Royal Botanical Gardens look tiny! Navigate the 180 hectares of greenery via tram or train, and don’t forget to stop off at the pretty Zoological Gardens. If you haven’t got your fill of parks by then, you could head over Treasury Gardens, which is also very close to Fitzroy Gardens – both are very beautiful and frequented by people who just want to enjoy a peaceful afternoon away from the city’s hustle and bustle. The best part, visiting the parks don’t cost a penny, they are some of the best and free places to go in Melbourne. The City Circle tram is a popular way of finding your way to different attractions, and it’s an attraction itself. Jump on and off the tram at sites like Federation Square, the Melbourne Aquarium and Parliament House. Ohhh, this is another free tourist attraction in Melbourne. Another option is the city sightseeing bus, which is not free but can be a cheaper way to get around the city and visit the markets, such as Chinatown or Queen Victoria Market. If you traveling with family this can be an affordable option of things to do in Melbourne with kids, as you can get a good discount for a family package. It would be a shame not to spend some time by the Yarra River when you’re in Melbourne. It’s has a social scene all of its own – it’s even the site of various music festivals throughout the year. A stroll down the banks will provide plenty of entertainment! By day, look upon the interesting graffiti and architecture. Stop by any of the cafes and bars for a break and a bite to eat, or have a barbeque, Aussie style. If fishing is your thing, you can do that there too. It’s not unusual to see people indulging in fitness activities along the banks, whether that’s running, cycling or speed walking. If you fancy a boat ride, jump on a river craft a Princes Walk or Southgate; you’ll be able to hop off again at some of the city parks if you want to kill two birds with one stone. By night, look at the picture-perfect mirage on the water created by the myriad lights, or relax with a glass of wine. Melbourne is famous for its many markets, all of which bring a different vibe and a variety of goods, foods, crafts and more. Sample delicious street food, grab a second-hand sweater or take home a local artist’s creation. There are many bargains there, and you needn’t spend a fortune to have fun. Free food samples are common, so it’s even possible to eat without forking out! Some markets are big on live music, which adds a little extra sparkle – if that sounds like fun, Queen Victoria market at night is the one. Most visitors will put this market on their agenda, as it’s the biggest and best known. However, you’ll find plenty of other tourists there, so if you’d rather mooch around a smaller, quieter market, head elsewhere. For that, you’ve got Camberwell market, and Rose Street Artists Market in the Fitzroy area. Another unmissable free thing to do in Melbourne is to visit St Kilda Foreshore. This beach area is massively popular with both visitors and locals, and there’s plenty happening there – a lot of which won’t cost you anything at all. Grab a coffee and cake and indulge in the local pavement café culture, or browse the colorful local shops around the Acland Street area. Alternatively, get down to the beach itself for some swimming, sunbathing, kite surfing, or any of the other beachside activities St Kilda can offer you. Wander around the Sunday markets or get a ticket to see a show at the theatre, take a walk along the promenade and pier, or get the adrenaline going at Luna Park’s ancient amusement rides! If a free live music gig sounds appealing, put the Esplanade Hotel on your visit list too. There are so many more reasonably priced (or free) activities in Melbourne that you’ll have a hard time leaving any space on your agenda – we have only touched on a few. Obviously planning ahead helps, as you’re less likely to get caught out by unexpected expenses, but rest assured that you’ll still be able to make the most of this amazing city, however small your budget is! As you are traveling to Melbourne on a budget, we are not only helping you to save on activities but also finding affordable hotels to stay. So here is our suggestion of cheap places to stay in Melbourne. There are many places to stay in Melbourne, from 5 stars to shared rooms, but let’s talk about the affordable ones. To help you travel on a budget, here are some of the best and cheap hotels in Melbourne. 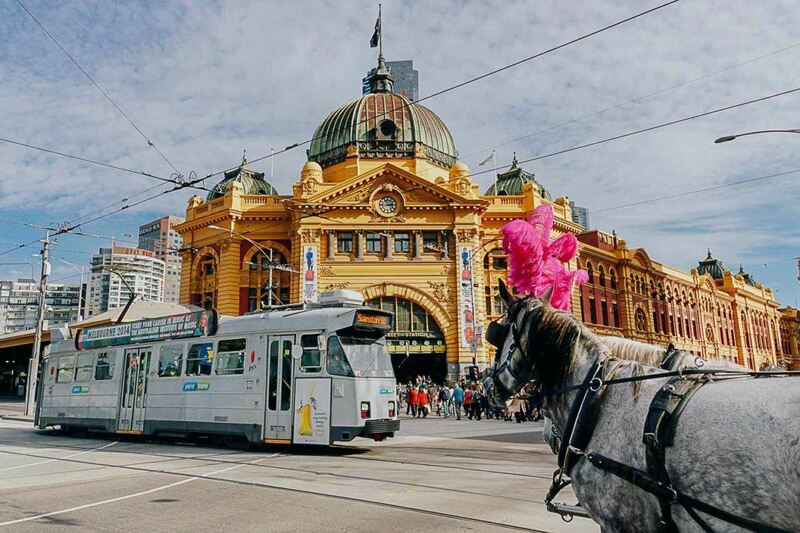 Location and comfort are the key factors when booking a cheap place to stay in Melbourne, so here are 3 good options where you will be close to many attractions, public transportation, and restaurants. This Ibis Melbourne is located 5 minutes from Southern Cross Station and 10 minutes walking to Melbourne Aquarium. 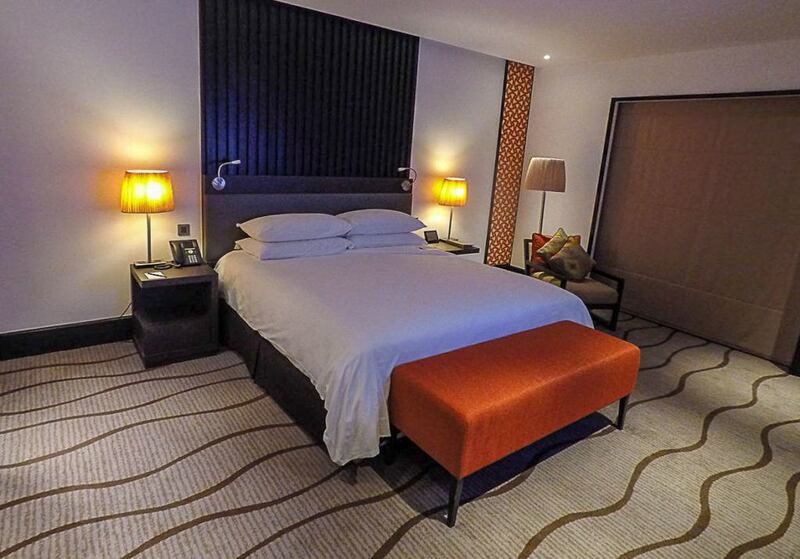 The hotel offers comfy rooms, fitness facilities, and a rooftop terrace. Book your room at Ibis Melbourne here! The City Center Budget Hotel is close to many attractions in Melbourne, 10 minutes to Chinatown and Federation Square, and only two minutes to Parliament Train Station. Rooms are private with shared bathroom, a good option for those who want more privacy than hostels, and each room has its own refrigerator and kettle. Book your room at City Center Budget Hotel in Melbourne here! At Hub Hostel you can book private or shared rooms. The property is located a few meters from public transportation and a park. The reviews are good, especially towards the cleaning and comfort. Book your bed at Hub Hostel in Melbourne here! If you are not sure yet, keep searching for cheap accommodation in Melbourne on Booking.com. There are plenty of hostels and hotels there, and some of them have free cancel policy, so you can book now and if you change your mind you can cancel or change the dates without paining any extra fee. Now you know what to do in Melbourne for free, cheap activities and even how to book a room without spending that much. Time to pack your bags and explore this amazing city. 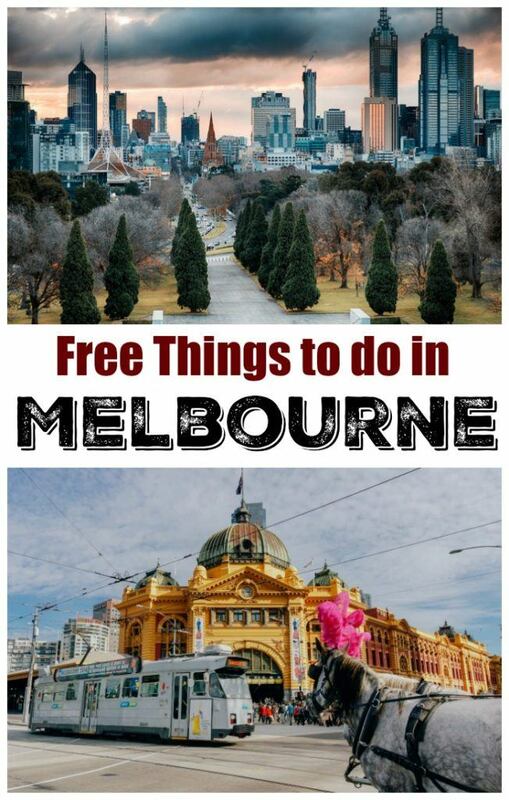 Love this guide to cheap and free things to do in Melbourne, Australia? Pin it for later!! Call runs Mountain Leon – a travel blog he started after two years on backpacking around the world. If you want to learn more about life on the road or his adventure, make sure you check out his sleeping bag guide.